Focus Group Discussions: What are They and Why Use Them? To paraphrase Nelson Mandela: ultimately, conservation is about groups of people. On a global scale it’s our collective human footprint that drives habitat destruction and species extinction, and the joint action of large groups that makes positive change. At a smaller scale, groups of people make decisions about conservation policy or management. In turn, communities of people feel the positive or negative effects of these actions, directly or indirectly. From global to local scales, groups of people make changes and groups of people feel the effects of those changes. 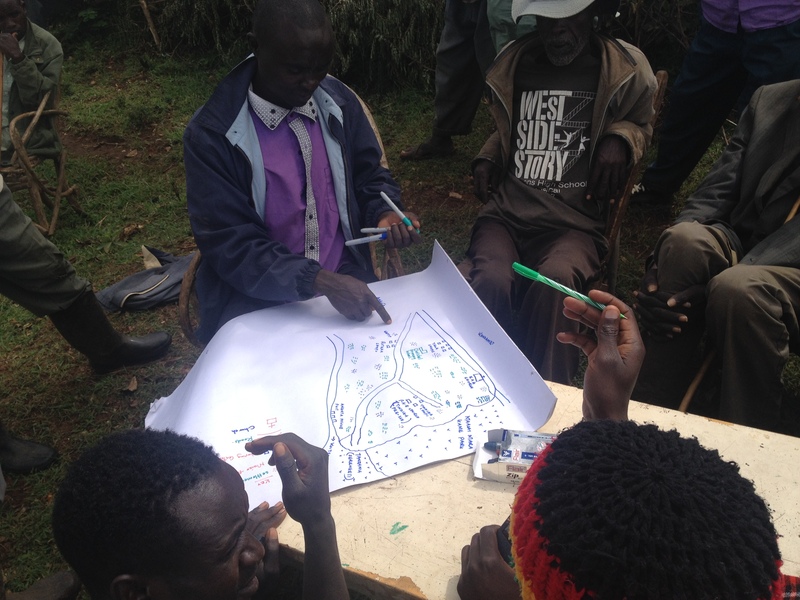 To improve conservation action and understand how decisions affect communities on the ground we need to talk to those communities. This is where focus group discussions become an asset to conservation research. They bring participants together in the same place where they can draw from their own personal beliefs and experiences, and those of other group members in a collective discussion. The researcher takes more of a backseat (facilitator) role in focus group discussions compared to interviews, allowing the group conversation to evolve organically. We can get a more holistic view of a situation from this method than from one-on-one interviews alone. Also, as respondents are interviewed at the same time and in the same place, travelling times and costs can be reduced for the researcher. Focus group discussions are a well-established research technique in the social sciences and they’re becoming more common in conservation research. But there’s little to no critical discussion regarding its application and (to the best of our knowledge) there are no guidelines for the use of focus group discussions in conservation research. This could make it difficult for conservation researchers and practitioners to decide when and where to use focus group discussions as a research method, and where it might not be appropriate. So to provide some answers we conducted a review of 170 published peer-reviewed papers, co-led by Tobias O Nyumba and Nibedita Mukherjee. How are Focus Group Discussions being Used in Conservation Research? Interestingly, we also found a geographical use bias towards Asia and Africa. Perhaps our most surprising (and concerning) finding though was the serious lack of methodological reporting! More than half of the published papers in our sample failed to report key details such as total sample size (or group size) of focus group discussions. Similarly, demographic factors such as gender and age of participants were not provided in over 85% of our sample. Variables of focus group discussion and participant stratification. Boxes a-e show reported data for each given variable, bold numbers are median average numbers of participants (a, b), groups (c), and number of minutes (d). Box e shows the average male to female ratio per study. These gaps in methodological details are worrying as it makes it harder for a reader to critically assess the quality of research and the inferences drawn by the researcher. As David Rose pointed out in his recent post on using interviews in conservation research, not reporting methodological data gives the appearance that focus group discussions are not a rigorous scientific technique. This is simply not true. When used correctly focus group discussions can provide useful qualitative data. The reasons for choosing focus group discussions as a research method were almost never provided in our sample. This made us question whether researchers had considered the pros and cons of focus group discussions as a research technique. Justifying the use of a method is important as it indicates to readers a well-thought-out research design and an understanding of where it’s appropriate to employ focus group discussions for data collection. Having assessed where focus group discussions are currently being employed, what contexts they are being used in, and when to use them as a research method, we provided the how with 5 simple recommendations for best practice. Firstly, you must be able to answer the question: ‘why is this the best technique to use in this specific situation?’ A clear rationale is key to assure readers of the validity and quality of the researcher findings. Flow chart showing steps of the focus group discussion technique. Thirdly, as mentioned above it’s vital to report all methodological attributes. The figure to the left gives some guidance on reporting your methods and results. Fourthly, be aware of group dynamics and biases that can influence discussions. The range of personalities that you find in a group setting and the group psychology that comes from this can result in many biases that influence what answers are freely given by participants. A few common ones to be aware of are the dominance effect, group think and the halo effect. Finally, as focus group discussions are often used alongside other methods (144/170 in our sample) it’s useful to show a clear pathway between the data collected, the coding and the subsequent analysis. Readers can then make a distinct connection between what data you used, and how your research question was answered. Focus group discussions are a great technique for getting qualitative data for conservation research. We hope that our article, and the guidelines we’ve mentioned above, will encourage people to use focus group discussions more (where appropriate) and improve how they report on them. 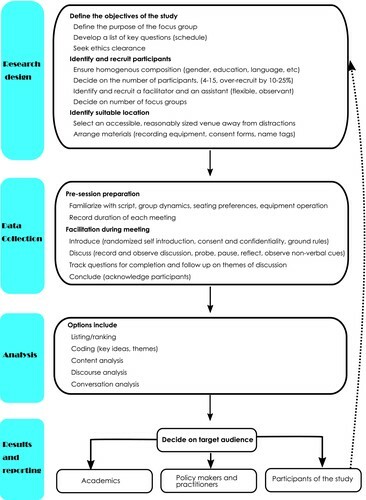 To find out more about Focus Group Discussions in conservation research, read our Methods in Ecology and Evolution article ‘The use of focus group discussion methodology: Insights from two decades of application in conservation’. This article is part of the ‘Qualitative methods for eliciting judgements for decision making’ Special Feature. All articles in this Special Feature will be free throughout 2018. This entry was posted in Conservation and management, Methods papers and tagged conservation, Data Collection, Focus Group Discussion, Methodological Data, Qualitative Methods, Wildlife Management by Chris Grieves. Bookmark the permalink.